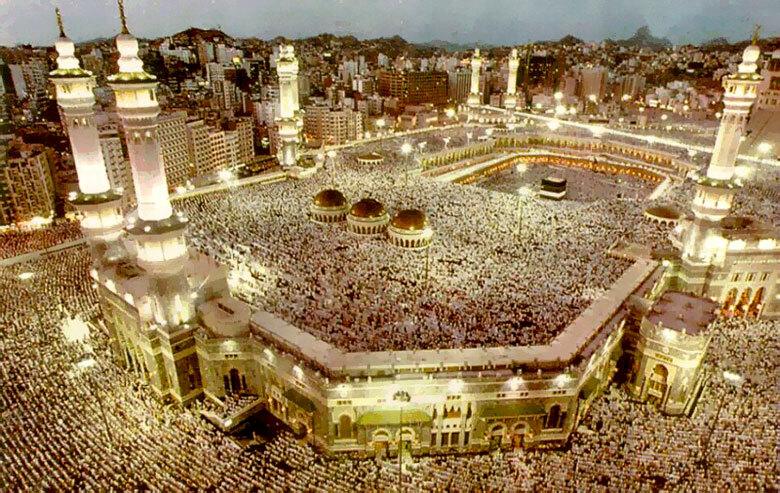 Inicio » Mecca » Why is Mecca important for Muslim religion? We may have heard about Mecca from a colleague, friend, in our way back home or even in media. However, we have remained a bit confused or we are simply curious about why is Mecca important for Muslim religion. That is why we have done this task of giving the most extensive explanations, but simple at the same time, so as to answer this query. First of all, we have to know who muslim are. Muslims are all the people who practice Islam, this means they believe in Allah, the one God who has never biget nor was never begotten. According to this, for them Allah has no image. Apart from this, they consider Muhammad the last prophet in the world and they believe that Jesus and Moses were the prophets before him. Muslims have a list with religious obligations which are: pray five times a day, give the zakat, which is to donate or do charity to the needy, do the Ramadan, which consists in not eating anything from the sunrise to the sunset and one of the most important, pilgrimage in Mecca. Muslims have Koran as a guide. This is a book where God left his last message to humanity. When wondering why is Mecca important for Muslim religion, we have to take into account that this is a city located in Saudi Arabia and it is the capital of the Western Province. Mecca share borders with Jeddah, a city approximately at 64 kms east of Mecca. Mecca also borders the Red Sea, which is 80 km from Mecca and this holy city for Muslims is surrounded by mountains which range from 50 meters to 150 meters high. One of the reasons why is Mecca important for Muslim religion is because the it the birthplace of the last prophet that existed, Muhammad. Muhammad, whose full name is Abu L-Qasim Muhammad ibn ‘Abd Allāh al-Hashimi al-Qurashi, was born in Mecca in 570, when the city was the religious and cultural center of Arabia. According to muslims, it was Muhammad who created Islam and who began to preach it. Other reason why is Mecca important for Muslim religion, is because in the heart of this city it is Kaaba, cube in Arab, this cube is known as a sanctuary and it is 18 meters x 18 meters. Kaaba had plenty of icons, but the most important thing about it is that it is know as The House of Allah. It is Mecca important for Muslim religion because in Islamic tradition it is believed that is was Abraham with his son Ishmael, also servant Agar’s son, who built the Kaaba that lies in that city. In Mecca it is also the black stone or Hajar al Aswad. The black stone is in one the the angles of Kaaba, surrounded by a silver frame and, at the same time, it rest on it a black fabric that covers the Kaaba. According to tradition, the black stone dates back from Adam and Eve’s times. Nowadays, the stone measures are 20 cm x 16 cm. However, it used to be bigger, but due to the constant friction received from muslims, it has shrunk considerably. Finally, another reason why is Mecca important for Muslim religion is because this city, owing to its History and Coran, is the pilgrimage center of Islam. Pilgrimage along with faith or shahada, prayer or salat, social contribution or Zakat and abstention and fast, is part of the five pillars of Islam. Pilgrimage consists of a long walk in the holy city, which is done during 10 or 11 days a year according to the solar calendar used in the West, in which apart from visiting the House of God, they ask for forgiveness and say prayers for their ways to be guided. It is for each of this reasons that is Mecca important for Muslim religion.